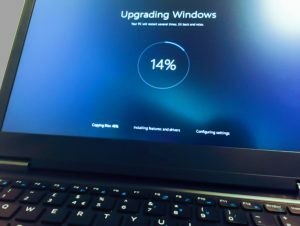 Windows 10 Anniversary Update: why is it worth upgrading your PC? Microsoft has been continuously improving Windows ever since it was released, developing new versions of this OS every couple of years. Windows 7, Windows Vista, Windows XP and numerous other variants have finally built up to Windows 10 which is the most recent and probably the most groundbreaking version so far. But Microsoft developers did not stop just there and have just released a real game-changer – Windows 10 Anniversary Update. Apart from the useful and fun features such as Windows Ink, allowing the users to make handwritten notes and pin them on the screen or the collaboration with Xbox, in this new update a lot of attention is given to the system security as well. For instance, Windows Information Protection feature is set to protect users against unauthorized access of the personal data which might be attempted by different applications. Improvements were made to the Windows Defender as well. This in-built protection shield can now be scheduled to run regular scans and provide in-depth analysis of the computer’s security parameters. Also, with this new version, you will now have the option of protecting your PC and even individual applications using facial or fingerprint recognition. Needless to say, system updates are crucial for a smooth and stable system performance. By upgrading your operating system, you also ensure that your computer runs according to the newest security standards. So, in collaboration with reputable antivirus utilities, such as SpyHunter, system updates can significantly increase the malware defense as well. Though Windows 10 Anniversary Update is a major upgrade, new system updates are being released almost every day, thus cyber security experts encourage checking for them regularly to keep your system up-to-date.